Next semester, there are two new electives coming to Highland! There is Beginning Dance, which will be during period 6. You will learn: the social, performing, and traditional forms of some basic dances; a bit of the history of dance; information about viewing and choreographing a dance or performance; and the parts of performance. The teacher is Mr. Keefe. Whether or not you have experience, this class is open to you. To sign up, go to the Google Doc, or visit your counselor while you still can. 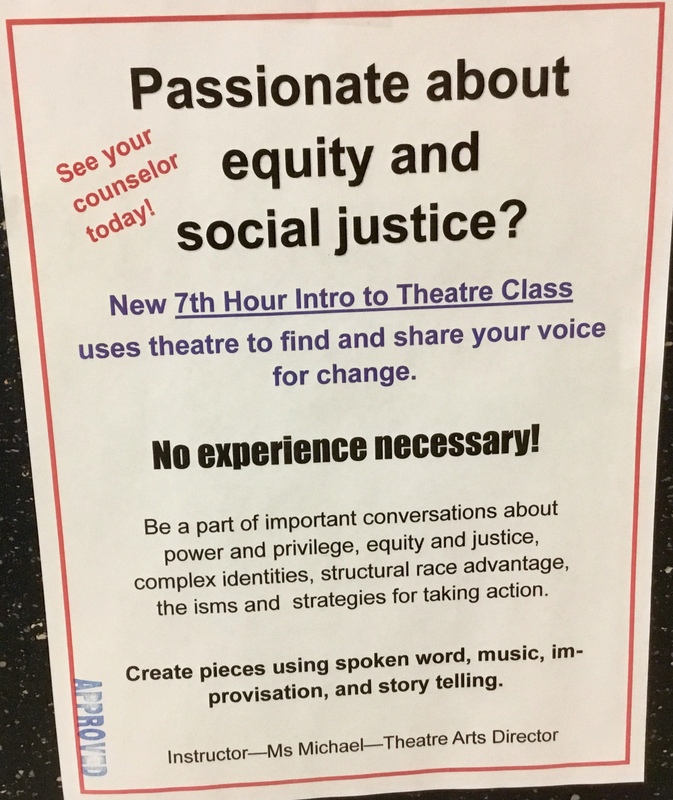 The other elective is Social Justice Theatre, during period 7, where you’ll have conversations about privilege, equity, justice, identity, etc. in order to create pieces with spoken word, music, improvisation, and storytelling. There is no experience needed to be a part of this class. The teacher is Ms. Michael. Do you want to learn how to use your voice to spark the change you want in the world? This class is for you. Sign up by going to the Google Doc, or visiting your counselor. In interviewing Ms. Michael, she said that she believes theatre provides an opportunity to explore our world. In the class, you will be digging into your own identity, how the world sees you and how you see yourself, who you want to be and what you can change. She looks forward to getting to know everyone. She thinks that students will enjoy conversations that will happen, and seeing how theatre can change the world. She believes Highland does need this class, as there are so many loud people promoting hate out there, students need a chance to share how this impacts them, and raise their voices as well. The ultimate deadline for signing up for these classes is the start of quarter 3. These electives were made because students expressed an interest in them. If you can’t sign up for these classes, don’t worry, there are other opportunities for similar activities. 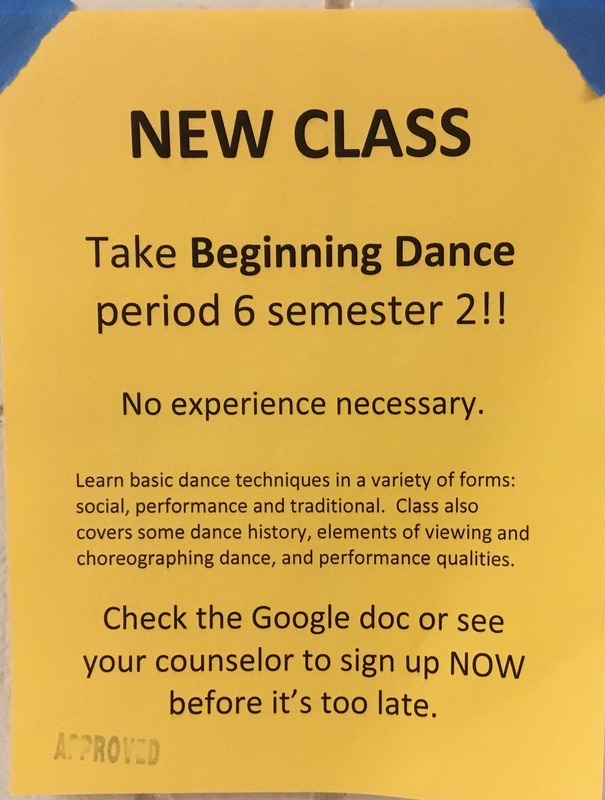 There is an Intro to Theatre class 6th period and there’s a DP dance class 7th period. You can also join the Urban Dance Club. If you’re interested in either of these electives, sign up now! Enter your email address to follow our website and receive notifications of new posts by email. What’s going on in West Papua? Should The National Animal change? Is a burrito a sandwich?